I will not be hosting On Display Thursday this week due to the awesomeness that follows here, but will be back next Thursday with features from both last week’s and this week’s linkups so make sure you head back over for that. The rest of the girls are still partying this week so you can still link up HERE! Day Four everyone! Can I just say how much fun these giveaways are?? Get your entries in on day one here, day two here, and day three here! Today’s giveaway is from a wonderful Etsy shop, Wooden Pencil Co. 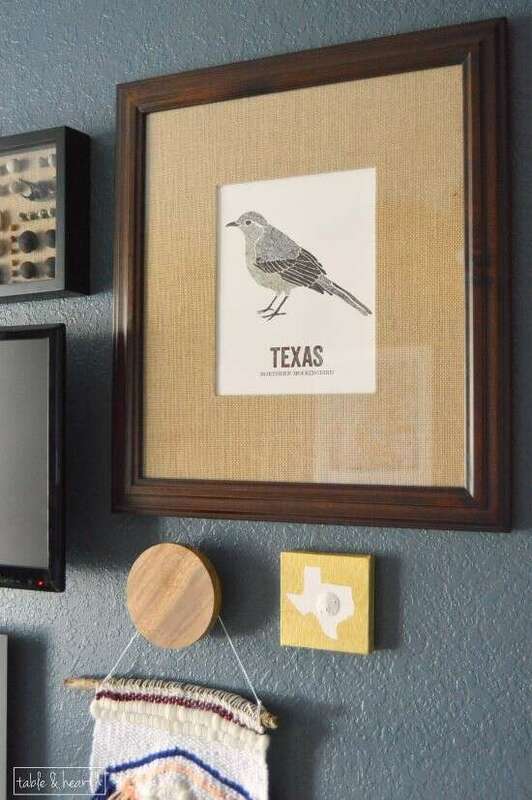 I first heard about them from Oak and Oats and promptly ordered a Texas state bird print for our office gallery wall. I absolutely love it! 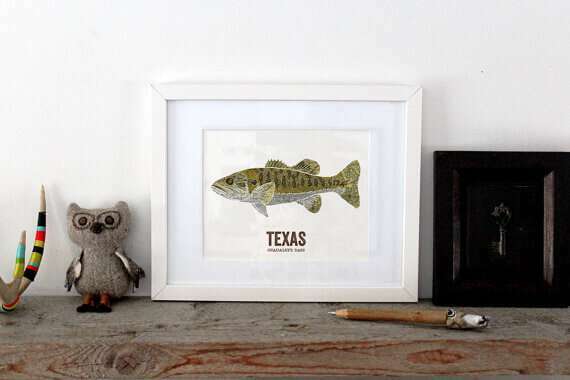 They have state birds as well as state fish and also have beautiful other pieces of outdoors-inspired art as well. 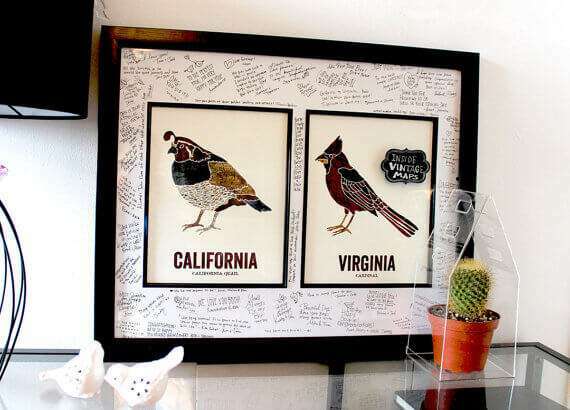 In addition to the individual state bird and fish prints, they now offer two-print packages for the cross-border couples out there, as well as a wedding guest book out of any of the prints as well. If I had known about them before we got married, you better believe we would have one of them for our wedding! Now to the fun!! 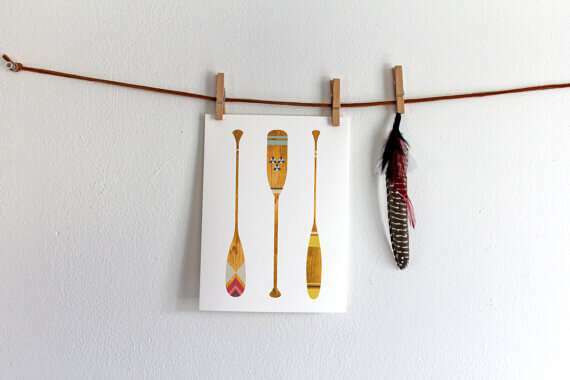 Wooden Pencil Co. is giving one lucky reader a state bird or fish print of their choice, just enter via the Rafflecopter and good luck!! They are also giving you guys 10% off any purchase in their shop with the code “THSAVE10” through April 15th! 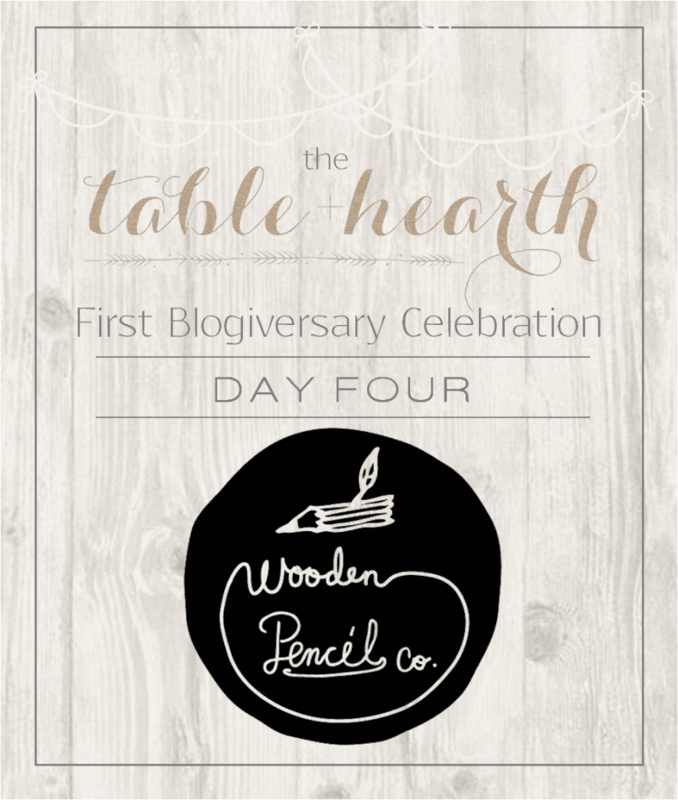 Giveaway Rules: The giveaway has been sponsored by Wooden Pencil Co. and hosted by Table & Hearth. No purchase necessary. Giveaway ends at 05:00 AM CST on April 2, 2015. All entrants must provide a valid e-mail address and be 18 years old. The giveaway is open to residents of the United States and Canada only. One lucky winner will be randomly chosen from among the entrants within 48 hours and notified via e-mail. The winner has 48 hours to respond via e-mail to claim the prize or another winner will be selected. The winner will be contacted by Wooden Pencil Co. directly to coordinate the print. Family members of Table & Hearth or Wooden Pencil Co. are not eligible to win. Odds of winning depend on the number of entrants. Please read the complete terms and conditions on the Rafflecopter form. If you have any questions, please contact us at tableandhearthblog (at) gmail (dot) com before entering the giveaway. VOID WHERE PROHIBITED BY LAW. Yay! Another Texas girl!!! Good luck Ashley! I would pick the Indiana bird. You guys have the cardinal too! So pretty! I have never heard of this company — thanks for the shout out — I’ll check them out! You’ll love her stuff Mary! Thanks! I love the bird prints. Thanks for the giveaways! Thanks for being here Michele!! Good luck! I am from Maine so I would get the ME state bird – the chickadee of course! Great write up and photos!! Thank you so much!! 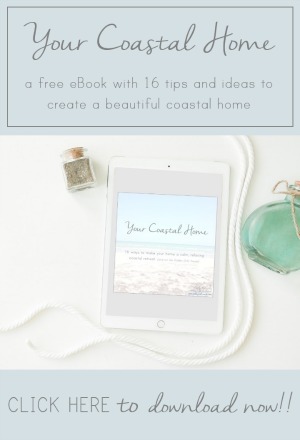 I am so excited to be able to host a giveaway with you! I’m so honored to, they’re beautiful pieces Suwachi!! Thank you sooo much! Gah! You guys have the coolest bird!!! I would choose the NC Cardinal. 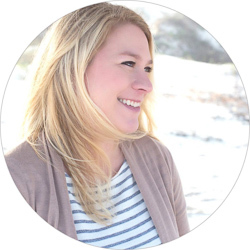 Thanks for introducing me to this company – I love their prints! They will make great gifts! 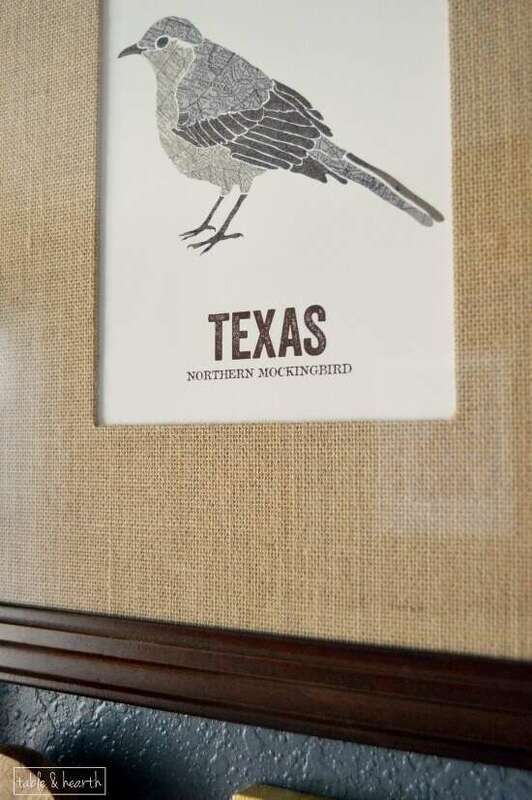 I would get the Texas mockingbird print! Lovely! This giveaway is the bomb! 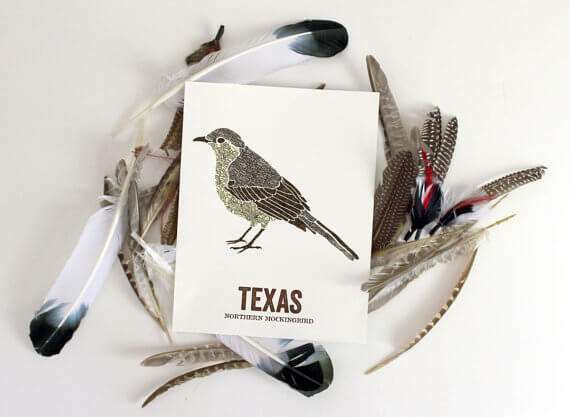 I’ve gotta go with the TX state bird but that rabbit jack knife is calling my name, too! So much greatness! Thanks! Texas in the hizzouse! Thanks for turning my on to a great new Etsy store. Love their work! Aren’t they so great?!? So happy to help you find them!! 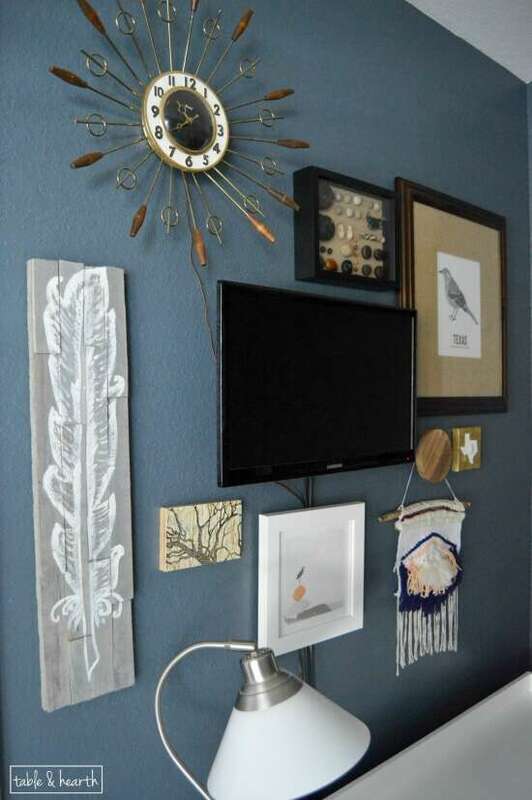 I have been eyeing that California quail print forever! Such a cool state bird!! Good luck Christina! 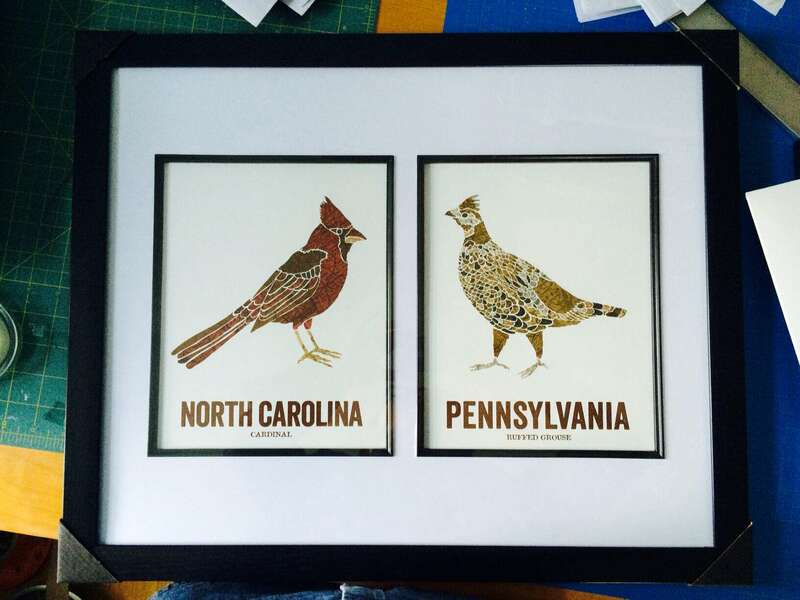 I would get the Rhode Island state bird print. Born and raised in TX so i’d have to say the texas print! Thanks and good luck Lana! I love the Alabama state bird (: thank you!